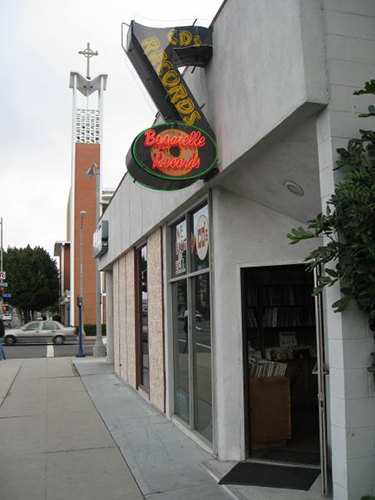 Bagatelle Records is one of the few existing record stores in Los Angeles County for a reason. We provide quality products at an affordable price and replenish merchandise frequently so that customers keep coming back. Vinyl isn't dead. Not while Bagatelle Records is still around. Visit us in Long Beach today. 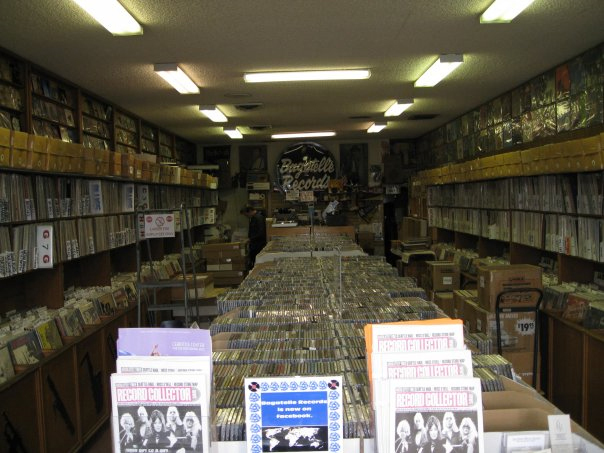 Bagatelle Records has been a brick and mortar business since 1977. 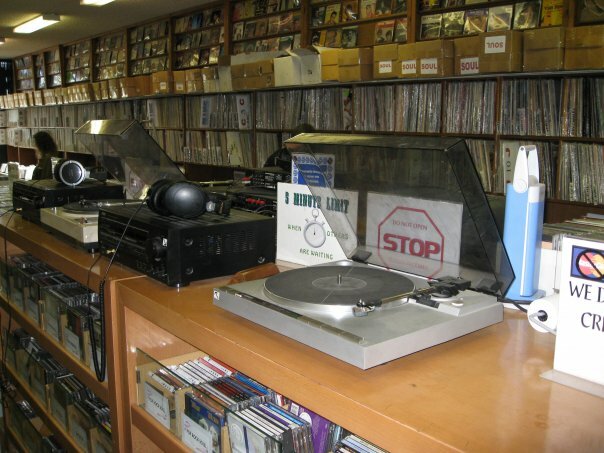 Its merchandise includes 45s, LPs, 78s, 12-inch singles, CDs and music memorabilia. What gives the store its character, however, is its owner. Steve Mintz lives and breathes Bagatelle Records. 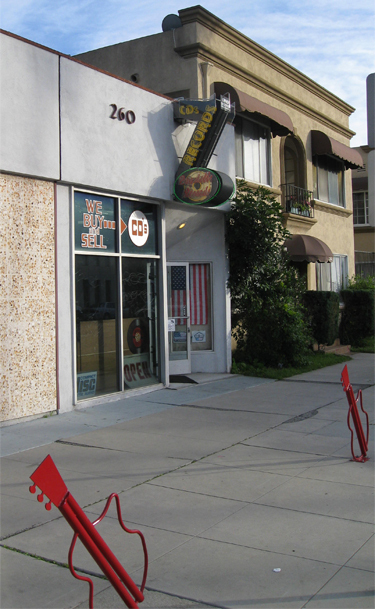 He's always on the lookout for new, desirable merchandise; his store, which virtually overflows with music-related treasure, certainly reflects his insatiable desire to acquire new products for customers. It's in this way that he puts his customers first, and it's for this reason that the store has been around for over 30 years. We offer 1/3 of our sale price. 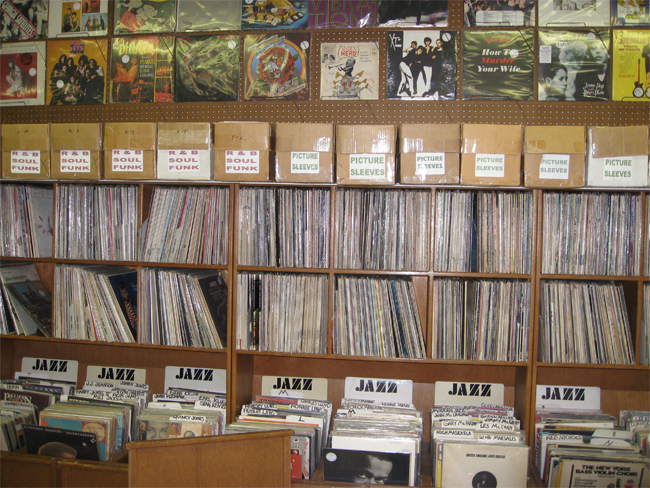 For example, if a record sells for $3.00, we will offer $1.00. If a record sells for $9.00, we will offer $3.00. If it sells for $100.00, we will offer $33.00. We buy and sell all categories of music. 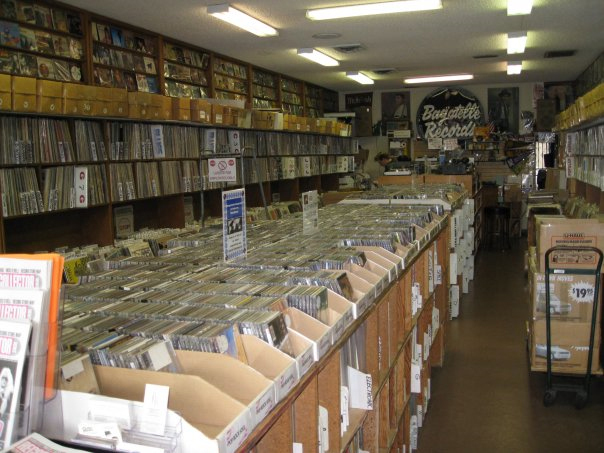 We start at 25 cents on 45s, 50 cents on 78s, and $1.00 on 33s and go up depending on the sale price. Because of the state of the music business, Steve is very particular about what he purchases. Remember to contact the store before visiting in order to find out whether Steve is interested in buying your potential merchandise. IF YOU'D LIKE TO STAY INFORMED OF OUR LATEST ACQUISITIONS, CHECK US OUT ON TWITTER, INSTAGRAM AND FACEBOOK. Bagatelle Records © 2015. All Rights Reserved. Carefully crafted by Ian Mintz.